After the insane hike in Ticket Prices of 'Thugs of Hindostan' for the extended first weekend, it is reduced for the weekdays now. One can say decision is bit too late now. Sanju saw a hike in ticket prices. After that TOH saw further hike in ticket prices. Coming to Sanju, it had an average hike of 10-15% in ticket price from Race 3. One thought it is more than enough for the rest of the year atleast. But alas! TOH increased the ticket prices further by 10% or so for this Diwali time. Can someone suggest the makers that keep the ticket prices competitive. It will result into more footfalls. People want to enjoy some fun time and what is more than watching a movie with their love ones and family and friends. 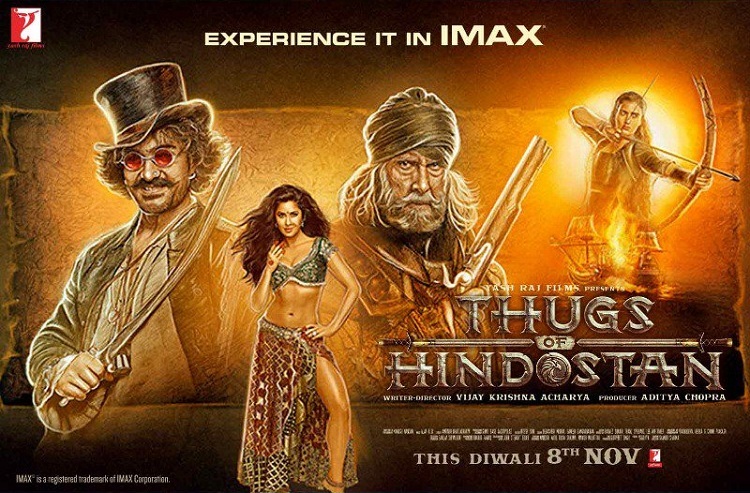 TOH has now reduced their ticket rates by 20-30% in the multiplexes on average from Monday onward. Hope it may result into some footfalls. TOH needs that badly at the moment. But honestly fate of the film is already decided in the weekend. Film is on a free fall mode. Another brutal news for the maker is film screening is reduced from Monday onward. In south impact is bigger as many shows are cancelled and replaced with regional movies. In rest of India around 10-15% screens are reduced. Tumne mjhe Bhai bola toh Mai ek baat bolu toh maanoge?? Chal beta selfie le le re ! 140cr is difficult to get there.. Both Superstardom +content is necessary..